In Greek mythology, ASTRAEUS, father of the four wind gods and the stars was an astrological deity known as the god of the dusk. Appropriately he married Eos who was the goddess of the dawn. Together they had many children, one of whom was named Boreas: God of the cold north wind, which howls relentlessly through Waterkloof’s vineyards and so defines the character of our grapes and resulting wines. While many people believe Waterkloof’s logo depicts a blowing man, it is actually a blowing god – Boreas. No myth, this palest of pale MCC rosés is a true product of nature. 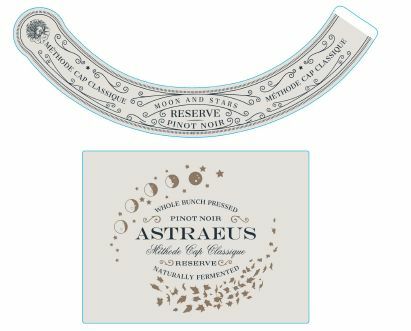 The grapes for Astraeus were sourced from an organically farmed vineyard in Elgin which is one of the few areas in The Western Cape where Pinot Noir gets enough cold units during the winter season as well as during the growing season with its natural degree of cloud cover. Elgin has a big diversity in soil types, but this particular vineyard consists of Table Mountain sandstone, which imparts a minerality to the wine. Hand harvested Pinot Noir, was whole bunch basket pressed for the purest juice. No further maceration allowed. The juice was then left to settle naturally for 12 hours. Wild yeast fermentation with no additions was in old 600 litre barrels, where the wine spent 9 months on the lees. 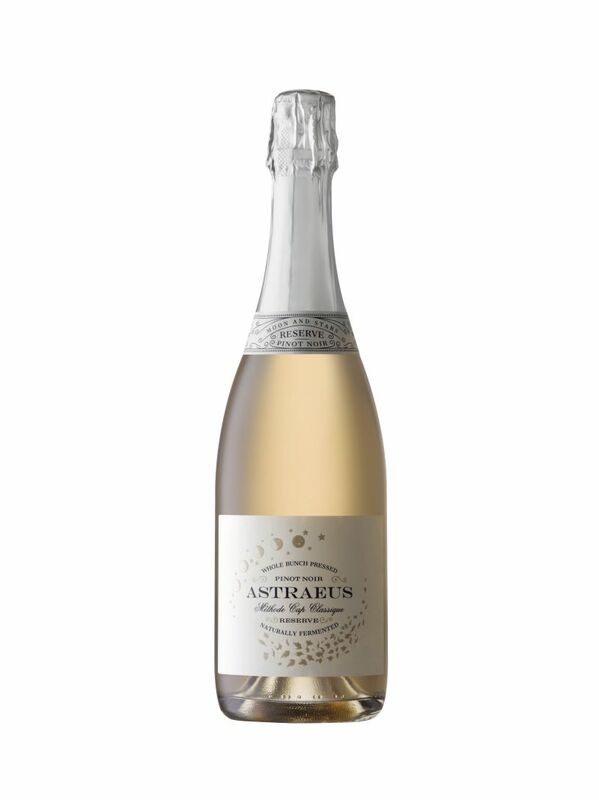 With bottling, champagne yeast was added and the wine was left in bottle on the lees for a further 11 months, after which it was disgorged and left under cork for a further 7 months before release. This is a lightly coloured Pinot Noir Rose with fine bubbles and not an overpowering mousse. It gives off floral and mineral aromas and strikes a fine balance on the palate between elegance and fine supporting structure. It can be enjoyed on its own or with some classic red fruit desserts.